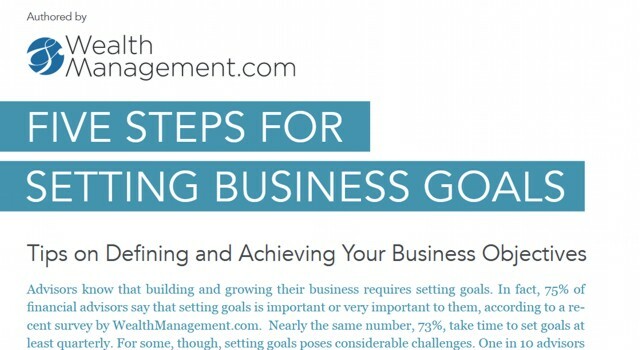 Recently, I received an offer to receive a white paper entitled, “Five Steps For Setting Business Goals: Tips on Defining and Achieving Your Business Objectives” from WealthManagement.com. This article is more than unhelpful. Most of this advice is simply wrong. Having a site that provides unwise advice is worse than simply offering the obvious. Without adequate standards for reviewing what they are willing to publish, they lose the trust of their readers. An article from wealthmanagement.com is not worth taking the time to read. If they are wrong on advice I know, how can I trust them when I “learn” anything I don’t know. Sites with advertising are not trying to impress you with their wisdom. They are trying to impress advertisers with the fact that they can get you to click on their headlines. They also break a single article into three pages of text or a dozen slide in order to increase the number of pages loading advertising. At Marotta On Money, we sell no advertising. We do not benefit from the number of pages you visit. We care about the quality of the advice we offer. The depth of our articles serve as an advertisement to the depth of our knowledge about financial planning. Some readers are going to be implementing our advice and need to know the intricacies. Others may be trying to determine if we are the right advisors to partner with for them to reach their own goals. Useless articles abound on the internet. It will help you in life if you can learn to distinguish between content with ulterior motives and real financial planning wisdom.